I never thought I had self-esteem issues until a read the story of a man who had the patience to wait. He’s a follower of Jesus Christ. His whole spirit has been committed to it for quite a while. When he talked of what he knew, incredibly blessing flowed with his words. God blessed his actions. He knew it. He was thankful for it. He said so to God every single day. Lately, he heard of his friends in a different country. The reports of their faith were being told to the whole world. Saying that he desperately wanted to visit them would be an understatement. He yearned to impart and share with them some spiritual gift to strengthen and establish them. Still, every attempt to travel there had been hindered. Every plan that had been made had been prevented. He pleaded with God that somehow by His will he would proposer and see them. I thought about him. I thought about his prayers to God. They were nothing like mine would be. I would be saying things like this. And, the list would go on. My thoughts would be filled with doubt, fear, and self-esteem issues. I would doubt my calling. I would believe that God is saying no. Paul wasn’t doubting his calling like I would have done. Paul knew that they could and would build each other’s faith up. He also knew that he would be able to honor God through showing God to the people there. See Romans 1: 1-16. Paul had the confidence and self-esteem to know that he could honor God through his actions. He also had the grace and peace and patience to wait for the opportunities as God presented them. Paul knew to wait on God. 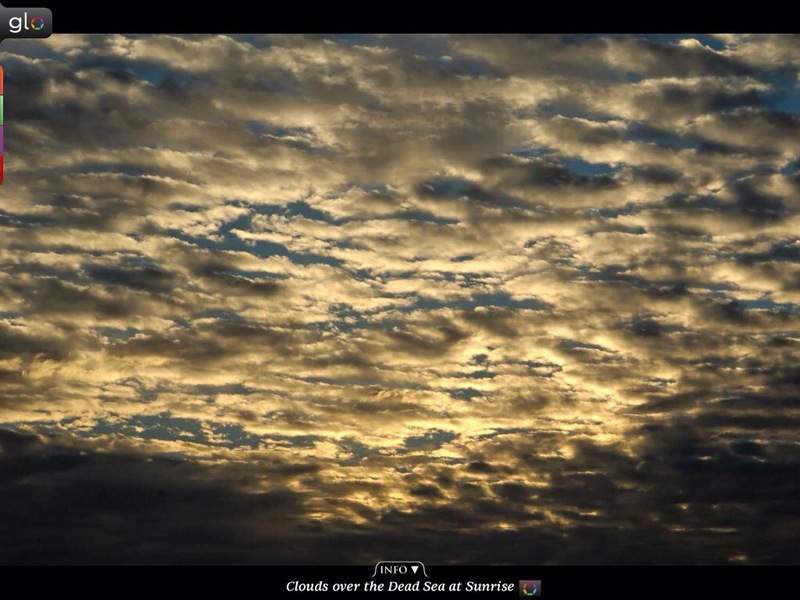 Sunet Over the Dead Sea from the Glow Bible. 7 Where can I go from your Spirit? Where can I flee from your presence? 8 If I go up to the heavens, you are there; if I make my bed in the depths, you are there. 9 If I rise on the wings of the dawn, if I settle on the far side of the sea,10 even there your hand will guide me, your right hand will hold me fast. When I have a skill to offer, a skill that I’m good at, a skill that can really help other people, do I have enough self-esteem to wait on the Lord to share it? Or do I force the issue, which invariably causes more issues. When people cut me off on the road and disrespect me, do I get mad? When someone speaks a cruel words to me, do I get depressed? When I fail, do I tear myself down? For me, all these issues relate to self-esteem problems. Then, I prayed to God about it. That’s when God showed me many verses on self-esteem. Now I read them out loud, daily. God, please help me to believe who You say that I am. God, please teach me how to ever increase my trust in You. God, please help me to look to you daily for my self-esteem. Previous Post When we take time to pray, what should we pray for? Next Post 7 Seconds – What do 7 seconds mean to you? How important are first impressions? Very well written article. Excellent scripture references.